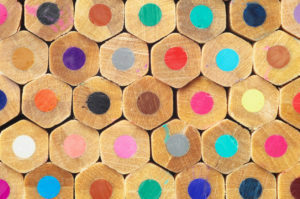 Every artist wants their finished work to turn out great, and the right colored pencils for blending are essential to this. This article will take you through some of the best options available on the market. Adult coloring books are growing in popularity not only for artists, but for business professionals in stressful industries, and there’s a good reason for that. Evidence shows that coloring for even a short time can spur creativity and improve mental focus. Drawing and coloring are enjoyable pastimes and the perfect way to unwind after a long day. In order to get your art to look as good as possible, there are a couple of techniques you need to master. Firstly, make sure you’re using the right textured paper. A fine texture or some tooth will catch the pencil, holding it and enabling you to layer colors and blend well. Let’s look at the best tools for accomplishing this.